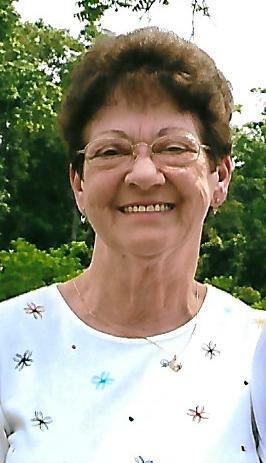 Helen Diane Doerr, age 79 of Leitchfield, KY passed away Sunday, November 25, 2018 at Heather Pines Assisted Living on Clarkston, Michigan. She was born April 19, 1939 in Louisville, KY to the late William C. and Lillian Warren Schaffner. She was a former Sewing Machine Operator at PharShar in Leitchfield, A member of the Ladies Auxiliary at the American Legion, and a Homemaker. She loved working in her flowers and dancing. In addition to her Parents, she is preceded in death by her husband of 51 years, Jerry Doerr, brothers; Billy and Wayne Schaffner, sister; Charlotte Vaughn, brothers-in-law; Raymond Doerr, Eddie Bennett and Sonny Vaughn. Helen is survived by her daughters, Brenda Sims (Warren) of Michigan, Bonnie Hunt (Marty) of Cecilia, and Lisa Wethington (Chuck Sr.) of Morgantown. Also surviving are 4 Grandchildren; Amy Durham (Jason), Andy Hunt, Brent Sims (Colleen) and Stephen Sims (Julia), 1 Step Grandson; Chuck Jr. Wethington (Katie), 5 Great-Grandchildren; Hunter, Demitri, Lili Durham, Lane and Paisley Hunt, 2 step Great-Grandchildren; Olivia and McKenzie Wethington and several nieces and nephews. Also surviving are her Siblings; Sharon Bunse (Billy) and Darrell Schaffner (Delores). Other survivors include 4 Sisters-in-law; Carolyn Bennett, JoAnn Doerr, Carol Schaffner and Debbie Schaffner.